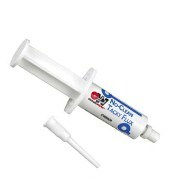 The conveniently packaged no-clean flux gel formulated for easy BGA rework. Circuit board repair and prototyping is faster, easier and more accurate. Advanced-formula materials packaged in unique delivery systems ensure superior performance and pinpoint accuracy.